The Comfort and Lighting segment comprises devices for the general improvement of the living atmosphere and lighting in a Smart Home. This includes products like smart bulbs, window- and door-sensors as well as garage door controls. The worldwide revenue of US$4.11 billion in 2018 is expected to increase to US$14.32 billion by 2023. 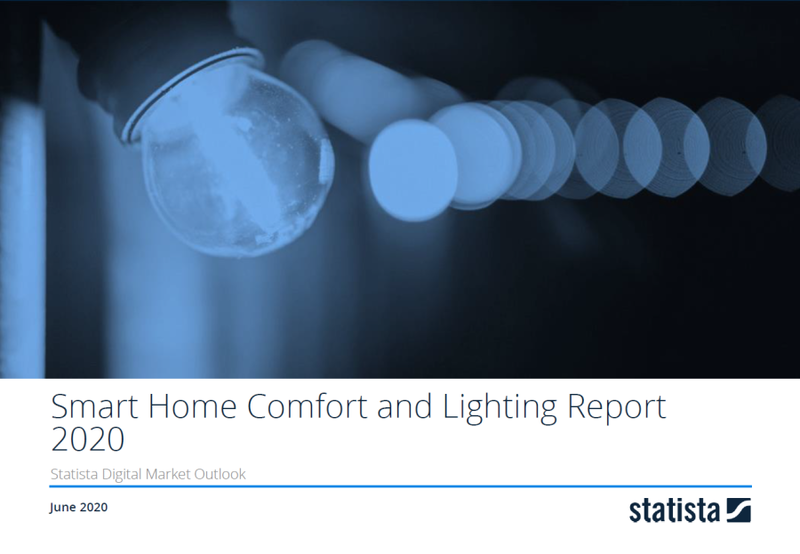 The report covers the Smart Home segment Comfort and Lighting which includes devices for the improvement of the living atmosphere. These are devices such as sensors and actuators (e.g. door and window sensors, shutters) as well as connected and remote controllable light sources (smart bulbs) or garage door controls. In previous releases, the products included here were part of the Home Automation segment.